For instance: From the railway station you walk to Royal Delft. Delft Blue is manufactured here according to centuries old processes. But don’t worry, modern ceramic art can also be found here. 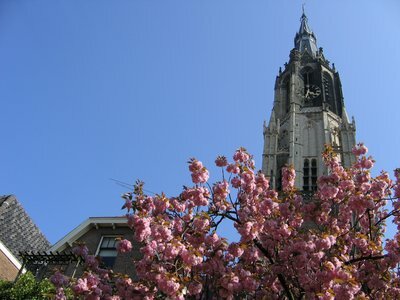 You will see the painters at work and you will discover everything about this miracle of Delft. After this you will join our local guide, who speaks both Dutch and English, for a city walk in the centre. 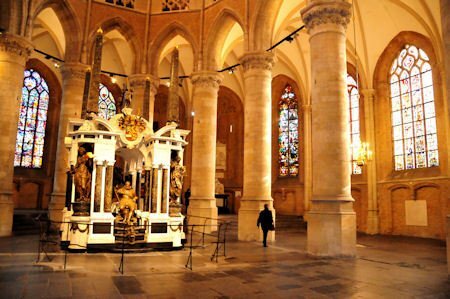 During this guided tour you will visit the ‘Nieuwe Kerk’ (the New Church) with the mausoleum of Willem van Oranje. 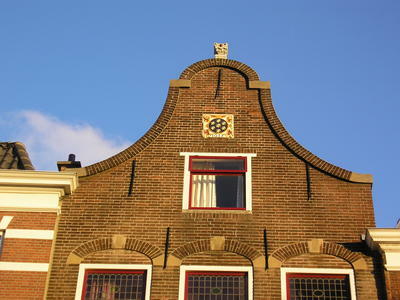 Together with your guide you’ll admire the beautiful facades, the majestic canal houses and you will hear stories about Hugo de Groot, Anthonie van Leeuwenhoek and of course the famous Delft painter Johannes Vermeer. 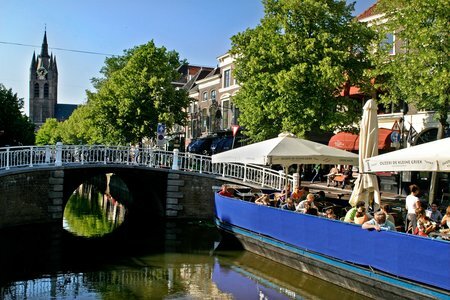 After that you go to the cosy restaurant along the oldest canal to have ‘the best sandwich of Holland’! Or maybe you prefer a delicious pancake, or try a ‘Delftse Leut’ with ‘Delftse Kruidkoek’! When you’re lucky you might find a place on the terrace boat to enjoy your delicious lunch. Finally you make a canal boat trip through the canals. Prices for groups on request.